Hoover, AL – Spain Park running back Jalen Henderson is passing up several smaller school offers to accept a preferred walk-on spot with the Auburn Tigers. The 5’11, 190 pound speedster was an Alabama-Mississippi All-Star Classic selection and was named to The Shelby County Reporter All-County First Team, AL.com All-Birmingham Second Team and Starnes Publishing All-South Metro Second Team. He chose to walk-on with the Tigers over similar offers from Mississippi State, UAB and Southern Mississippi. 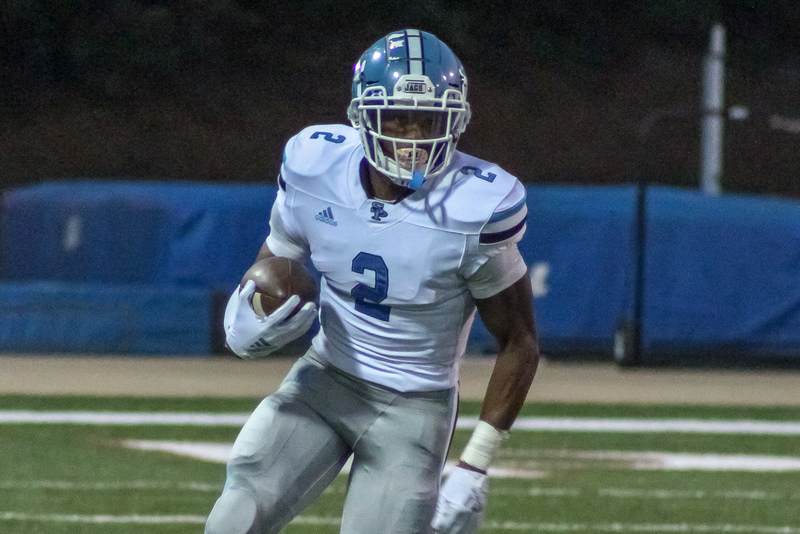 Henderson capped his senior season at Spain Park with 16 total touchdowns, rushing for 1,010 yards and hauling in 32 catches for 216 yards through the air.